California-raised, Manchester, UK-based singer-songwriter, Jesca Hoop, is the featured artist on the latest live music release from birnCORE Records. 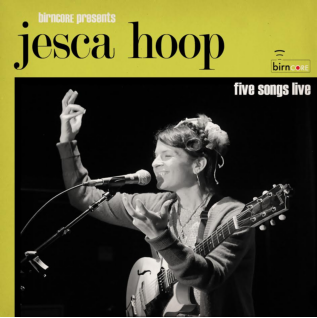 birnCORE Presents: Jesca Hoop, Five Songs Live will be available for purchase online on March 25th, 2014. This release encapsulates Jesca’s rhythmically intricate guitar playing, whimsical and thought provoking lyrics, and riveting stage presence as she performs vocal and electric guitar versions of some of her best songs. This stripped down, emotive performance was captured at The Red Room at Café 939 on October 17th, 2013 before a standing-room crowd. Jesca is currently touring North America until Monday, April 7th when she heads to Europe. birnCORE is a new music label devoted to releasing intimate live records by some of the best independent artists touring today. Five Songs Live is birnCORE’s fourth release.